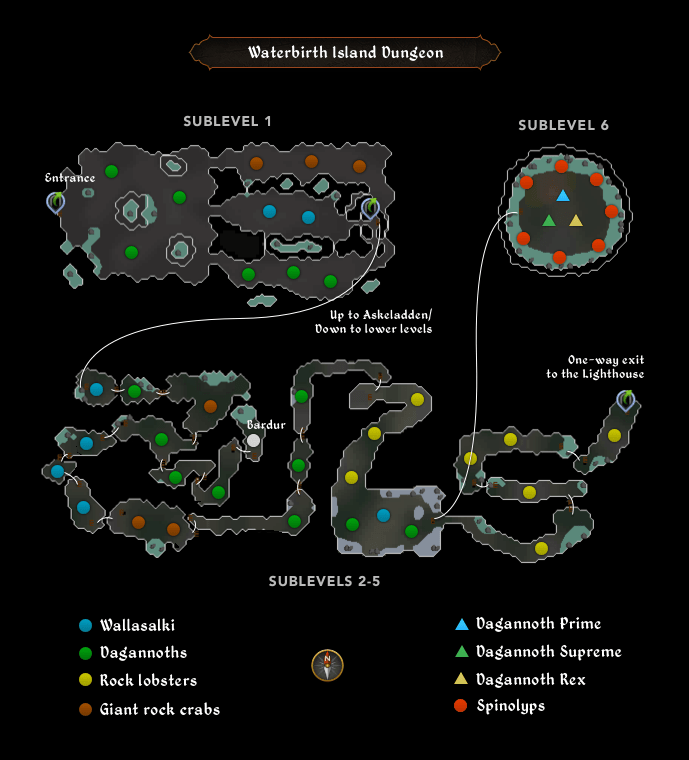 Dagannoth Prime is one of three Dagannoth Kings which reside in the Waterbirth Island dungeon. His primary attack style is ranged, however, the other two Dagannoth Kings – Rex and Supreme – use Melee and Magic respectively. For this reason, if you’re not careful within the dungeon, you may be under threat from all three combat styles at once. There are two common tactics used at the Dagannoth Kings. If you want to be able to kill Prime specifically, you will have to use the tribrid method in which you kill all three kings. You are not able to kill Dagannoth Prime without also having to deal with the other Dagannoth Kings.